Robin Mejia manages the Statistics and Human Rights Program at Center for Human Rights Science and holds an appointment in the Department of Statistics at Carnegie Mellon University. She is a member of the Center for Statistics and Applications in Forensic Evidence (CSAFE), and in addition to partnering with Human Rights Data Analysis Group, she works with researchers at the Harvard Humanitarian Initiative and the US Department of Labor. She’s working with HRDAG on a project to analyze changes in death reporting over time during ongoing conflict, and she and Megan are writing a book on the use of statistical methods in human rights investigations that is expected to be published in 2019. 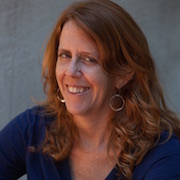 Prior to beginning her graduate studies, Robin worked as a science journalist for over a decade; her work appeared in the Los Angeles Times, the Washington Post, Science, and other outlets, and won several national journalism awards. She’s a contributor to The Science Writer’s Handbook, which is taught in graduate programs around the country. Robin earned a BA in biology from UC Santa Cruz in 1997, an MPH in epidemiology from UC Berkeley in 2012, and a PhD in biostatistics from UC Berkeley in 2016. You can find Robin on Twitter @RobinMejia.